Luxury on the Lake offers self-contained accommodation with stunning views over Queenstown and Lake Wakatipu. This modern apartment features 5 bedrooms, 4 bathrooms and 2 living rooms. You can relax by the fireplace after a day of skiing, or unwind with a glass of wine on the balcony. This apartment offers contemporary décor and a drying room for ski equipment. The upstairs living area features leather sofas and a gas fire and there is a fully-equipped kitchen and bathrooms. The dining room can seat up to 12 guests for a sumptuous meal. There is a living area on the lower level with an LED TV, and an additional dishwasher and refrigerator. Parking for 1 vehicle is available. 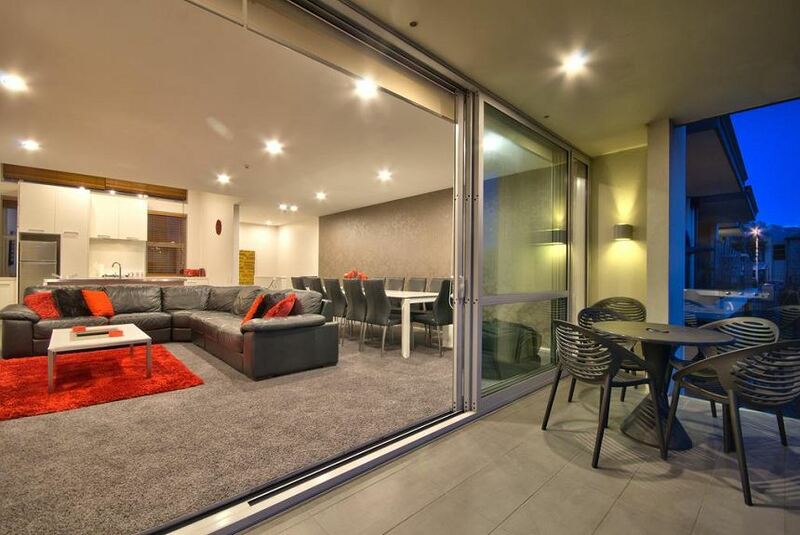 Luxury on the Lake apartment is 600 m from The Skyline Gondola and Luge and 15 minutes' walk from Queenstown Gardens. The shops, cafes and restaurants of Queenstown centre are within 10 minutes' walk. The Remarkables Ski Area is 35 minutes' drive away.